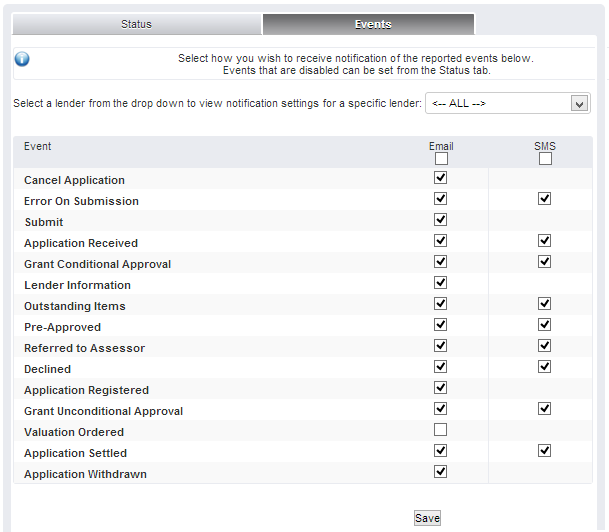 Notifications, otherwise know as backchannel messages are received throughout the application process. You can alter the recipient of these messages. The Advisor who is selected when clicking on Start Apply Online Application or who creates the application within Apply Online will receive notifications from the lender as the application progresses. These notifications come through as Emails or SMS messages. You can add email addresses, or change mobile details within Apply Online, which will alter where these notifications go. Click the User Account drop-down menu and select Your Settings. 2. Here you can see your current email address and mobile number, which is where Lender notifications will be sent. Click on the notepad icon to edit your details. 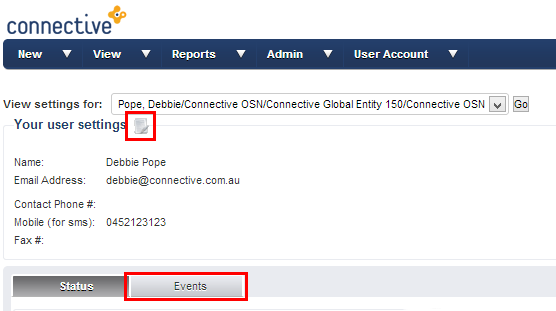 Click Events to select exactly which notifications you will receive. 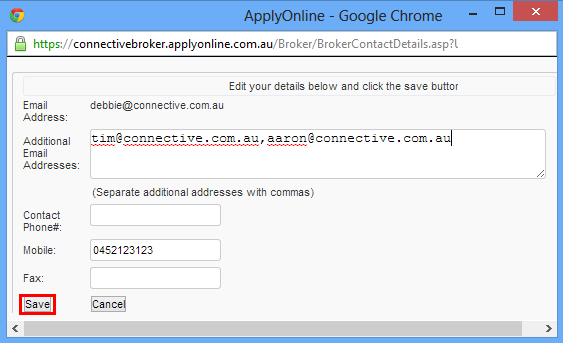 You can change your details, or add extra email addresses for notifications to go to. NOTE: You can not change your email address, it is the same email address that is listed in your Mercury account. If your Mercury email address has changed, submit a Helpdesk ticket to let us know, and we can push through your new email address to Apply Online. Place a tick next to the notifications you would like to receive, in either the Email or SMS column.